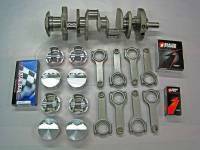 Butler Performance 433-439 ci Balanced Rotating Assembly Stroker Kit, for 455 Block, 4.000" str. Butler Performance 462-468 ci Balanced Rotating Assembly Stroker Kit, for 455 Block, 4.210" str. Butler Performance 462-470 ci Balanced Rotating Assembly, Ross or Icon, for 455 Block, 4.210" str. Butler Performance 467-475 ci Balanced Rotating Assembly Stroker Kit, for 455 Block, 4.250" str. Butler Performance 494-503 ci Balanced Rotating Assembly Stroker Kit, for 455 Block, 4.500" str. 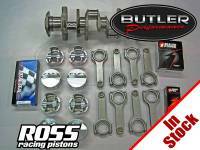 Butler/Ross 462ci (4.181") Balanced Rotating Assembly Stroker Kit, for 455 Block, 4.210" str. Butler/Ross 468ci (4.211") Balanced Rotating Assembly Stroker Kit, for 455 Block, 4.210" str. 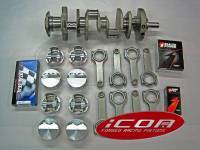 Butler/Ross 467ci (4.181") Balanced Rotating Assembly Stroker Kit, for 455 Block, 4.250" str. Butler/Ross 474ci (4.211") Balanced Rotating Assembly Stroker Kit, for 455 Block, 4.250" str.